The emphasis of Campus Conflict Resolution Services is on prevention, effective management, and informal resolution of conflict. The chart below summarizes the benefits of prevention and informal resolution. Links to the descriptions of services available in each category appear on the left side of this page. 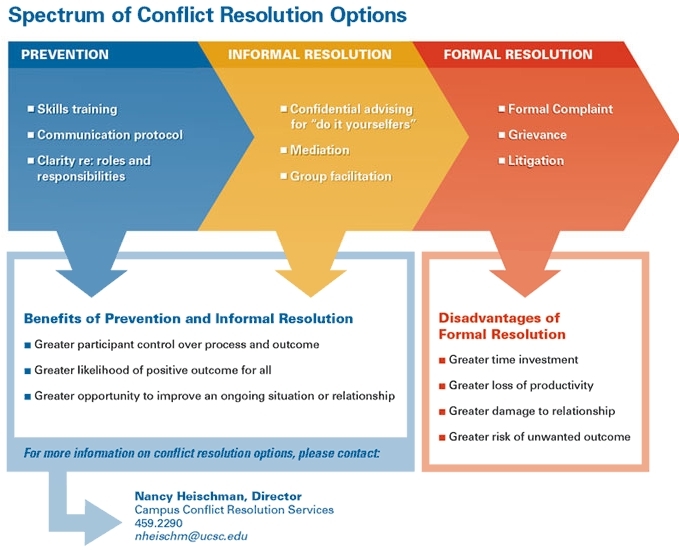 The following chart summarizes benefits available through preventing and informally resolving conflicts.